UPDATE 1/7/2018: Noble Brewer is no more. Sadly, they closed shop, but you can hear founder Claude Burns’ tips about permitting on MicroBrewr Podcast 074. It’s not exactly legal to sell homebrew and send it in the mail. But Noble Brewer, the brand new craft beer club, figured out a way to do it in accordance with all laws, and boy am I glad. Full disclosure: Use of the Noble Brewer coupon code below will give me a small commission. This does not affect my superb review of Noble Brewer’s service. I think it’s awesome. That’s why I signed up. That’s why I called up the CEO, Claude Burns and asked him to give MicroBrewr audience a discount. 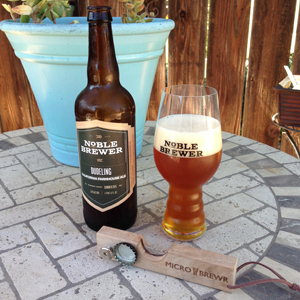 Anyway, I saw Noble Brewer on Twitter, and I didn’t really get what they were up to. Months later, after some more Twitter action, I went to their site, and my jaw dropped. 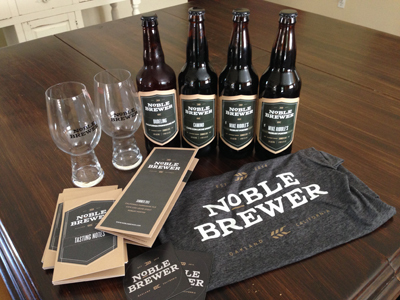 Noble Brewer sends quarterly shipments of homebrew to your door. Noble Brewer interviews dozens of homebrewers and selects the very best. Then they connect the homebrewer with a commercial brewery to make a limited-release batch of the homebrewer’s award-winning recipe. And you get it at your front door. Your beer subscription arrives each quarter, with two beers in four, 22-ounce bottles. It comes with a short bio of the homebrewer and cards for taking notes, so you can fill it out and send it back to the brewer and let them know what you thought of their beer. I’m glad somebody finally figured out the whole TTB, brewery license, alcohol-across-state-lines thing. Because I have a few friends who home brew, but now I have more friends whose homebrew I get to try! Can you tell I’m still a little excited about beer by mail? 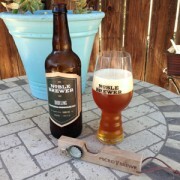 Listen to: Noble Brewer on MicroBrewr Podcast. What’s in the beer subscription box? Noble Brewer Dudeling was brewed by Jonathan Fuller. A few days ago I received my second shipment of my craft beer subscription box. It came with my free t-shirt and two Spiegelau IPA glasses. After a frenzy of excited social media posts, I sat back in the shade of the back porch and enjoyed a California Farmhouse Ale by Jonathan Fuller. Who’s Jonathan Fuller? Get to know him or any of the brewers on Noble Brewer’s website. I filled out the card and sent back my detailed assessment of his handiwork. It’s great, by the way! It’s a craft beer club. With homebrew. That’s homebrew. To your door! Homebrew, presents in the mail, what could be better? 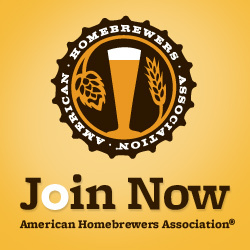 https://microbrewr.com/wp-content/uploads/2015/06/homebrew-craft-beer-club-and-then-i-never-left-the-house.jpg 280 750 Nathan Pierce https://microbrewr.com/wp-content/uploads/2013/12/Logo3-Copy1.gif Nathan Pierce2015-06-25 04:00:042018-11-18 08:34:53Homebrew craft beer club. And then I never left the house. Thank you everyone who contributed to my self-serving blog topic: Cans or bottles? 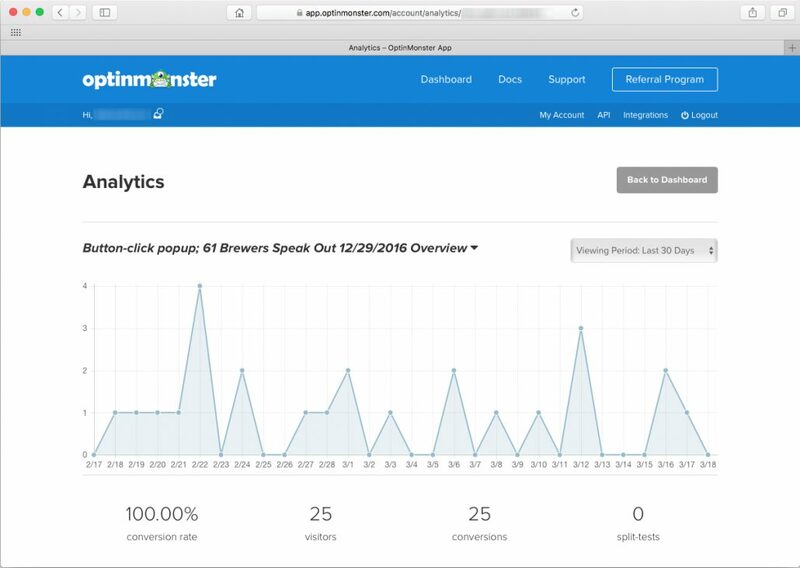 MicroBrewr is all about starting a brewery. One important question is how to package the product. The price tag is pretty hefty for a commercial line for cans or bottles. Either one could cost hundreds of thousands, or even millions, of dollars. So the question is important to anyone planning to start a brewery. Luckily, recent developments in mobile canning lines and mobile bottling lines have significantly reduced the price and the barrier of entry. But the dilemma doesn’t stop at the bottom line. It’s not just about what the customers want, cans or bottles. Clearly trends are shifting. Many people still holdout for bottles. Meanwhile cans, which once carried a stigma, are increasingly accepted and sometimes even sought. It’s not just about the brewer’s preference for cans or bottles. Some purport that bottles protect the beer better, while many claim the same for cans. Of course brewers and brewery owners are not immune to the same personal preferences that sway decisions for customers. So their claims of logic in the decision are likely blemished by bias also. To try and figure it out, since undertaking MicroBrewr last June, I’ve asked every guest of the podcast this same, simple question: Cans or bottles? Some people think the debate is dead, but clearly people are still talking about it. It’s still worth discussing. Some of the guests find the question difficult to answer and some find it quite a dilemma. Cans or Bottles? 27 industry experts reveal their preference. And here’s the page with ongoing tabulations. David Preston at Beer Tinted Spectacles writes a bunch about milliliters. Evidently the bloke is a Britton. I had to keep Googling conversions. He calls a 12-oz. can a small can, and says that’s the common size in the U.K. for soda, but not so much for beer, in which they have a much wider variety of serving sizes. In the U.K., beer in cans can be bought in 14-oz., 16-oz., or 19-oz. varieties. Be careful when you order a pint in Great Britain, you’ll probably get a 19-oz. “Imperial Pint” rather than the 16-oz. size you’re used to in the U.S.
His piece isn’t just about serving size. I really like that Preston dives into the whole notion of perception. “We say rational. We do irrational,” he admits. And it’s not up to us. The views of “opinion formers”—brewery owners—“are now impacting drinkers behaviour and perceptions.” But who cares he asks, “If beer drinkers become accepting of both, then that’s good for beer isn’t it?” Tune in for the plot twist that he sends us on in the last graph. Another Dubliner, Reuben Gray at The Tale Of The Ale, writes of one canned beer: “I’m not going to talk about the beer inside the can because it tastes the same as the draught version.” Then he presents pros and cons for cans and for bottles. In his presentation cans do seem best. Yet he does remind us in an asterisk that the plastic liner inside cans is made of plastic, which contains chemicals, a point that I keep having trouble getting past. You’ll have to read his post to find out which he prefers. Though I’d take it with a word of caution. 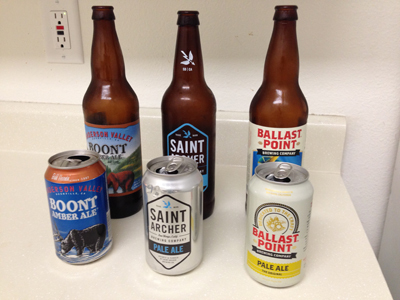 I’ve done 2 separate cans versus bottles blind taste tests with friends. It was usually pretty easy to discern a difference in appearance, aroma, and flavor, but sometimes is was the canned beer that we preferred, and sometimes it was the bottled beer. Derrick Peterman writes at Ramblings of a Beer Runner. “Plenty of beers come and go,” he writes, “but we’ve just got one planet. So the question for me boils down to whether bottles or cans are better for the environment?” Great point. I used to make my entire voting decisions based on this one notion. But I don’t mean to turn this into a political discussion. He writes of pollution during transportation, chemicals and energy use during manufacturing, percent recycled content. And finally he concedes, “No one really knows,” and he cites sources for this. “Reduce, Reuse, Recycle,” is the phrase. And they’re listed in order of importance. Kegs and growlers are meant for reusing. And Peterman offers a neat, recycled (if I may) solution for single-use containers, too. Alan McLeod from the Beer Blog has an interesting contribution, albeit a recycled one (there I did it again). He repurposes a post from 2006 that includes emails with the “Lead Singer” of Oskar Blues Brewery. Of course Oskar Blues is something of a pioneer for craft beer in cans. We have them to thank for their foresight and risk-taking, at the time anyway. As it turns out, the whole thing was some sort of a sick joke. Check out the piece for the full story and the definitive history of how we came to enjoy great craft beer in cans everywhere. Craig, or someone else, at Oregon Beer Life kind of writes off the topic. I mean he wrote it off. I mean he wrote… Gosh it’s getting late. Well, he said that he has already written so much about this topic, that it seems like he has nothing more to write. Instead he just links to some other posts, mostly cans versus bottles taste tests. Dan “the web nerd” of Community Beer Works ponders that they will one day have to make this decision for their brewery. In the meantime, fearing nothing new to contribute to the discussion, he does a taste test. His is not blind, he apparently poured the beer for himself. Although, I appreciate his efforts to keep it as “scientific” as possible. (His quotation marks, not mine.) Like Short at Pintwell, Dan notices a significant difference between the two. After that, he throws us for loop. Then he admits, it’s all about laziness. Liam at Drunken Speculation seems… I’m not sure what he seems. I’m not sure what to make of his feelings on the topic, although this is purportedly his first contribution to The Session in 6 months. So that helps alleviate some of my worries shared by some previous hosts about my topic being unworthy. He says bottles are preferred by Che Guevara, Richard Nixon, Joseph Stalin, and somehow genocide. “So I suppose you can have your bottles if you hate freedom,” he writes. It seems Liam prefers cans. My favorite of his arguments against bottled beer is: “Get off your high horse you elitist prick.” And that cans will save the polar bear. It’s definitely entertaining, which I think might be the point. Sean Inman at Beer Search Party is our “Lewis and Clark” of finding great beer. Not sure he’s the right guide for this party as he has “swung from bottles to cans and back and forth like a pendulum.” But he does attempt to sate my desire for “empirical evidence” about the question at hand. He does so with a list, 4 points a brewery should ponder when considering which package to use. He seems to present this lightly and with humor. Yet he offers good points for all brewery marketing, not just the choice in packaging. Finally, Stan Hieronymus from Appellation Beer and one of the 2 co-hosts of The Session, is most concerned with beer aroma. “I’m not inclined to want to stick my nose up to that half-inch wide opening in the can,” he cautions. Like McLeod from Beer Blog, Hieronymus quotes an email from Oskar Blues, who says beer should be poured from the can into a drinking glass. Yet, people are drinking from cans, Hieronymus says. He pours his into a glass. Me too. So those are some thoughts on the debate. Those are some ideas to ponder when trying to decide how to package your beer. There are many factors to consider. And some people are still pretty adamant for either cans or bottles. Luckily, these days great beer is put into both types of packaging, and both types are doing very well in the marketplace. Stay tuned for The Session 99 hosted by Fuggled, who has chosen the topic: Mile Ale. Keep an eye out for their announcement coming soon, or check back at The Sessions HQ. Thanks everybody for contributing. Sorry if I missed anyone, leave a comment below and I’ll try to add it or something. Jack Perdue at Deep Beer does love his beer in bottles. It’s a bit of a romance for him. He tickles a little at the logical reasons, but ultimately, for him, it comes down to movies, one movie in particular, The Shawshank Redemption. He linked to a clip and I watched it in-line with the reading. So now I might be biased as well. https://microbrewr.com/wp-content/uploads/2015/06/session-98-roundup-cans-or-bottles.jpg 280 750 Nathan Pierce https://microbrewr.com/wp-content/uploads/2013/12/Logo3-Copy1.gif Nathan Pierce2015-04-10 04:00:342016-12-29 18:39:05The Session 98 roundup: Cans or bottles? The data for this post is kept current here. This is my entry to The Session 98 that I announced last week. Stay tuned for a round up of posts from other bloggers answering the same question: Cans or bottles? It looks like the host slot for the May session is still open, so if you’re interested in hosting The Session 99, drop a note to Jay (.) Brooks (@) gmail (.) com or Stan Hieronymus of Appellation Beer. His e-mail is stan (@) appellationbeer (.) com. Cans or bottles? I ask this question of every guest on MicroBrewr Podcast. I think it’s an interesting study into both industry and consumer trends. 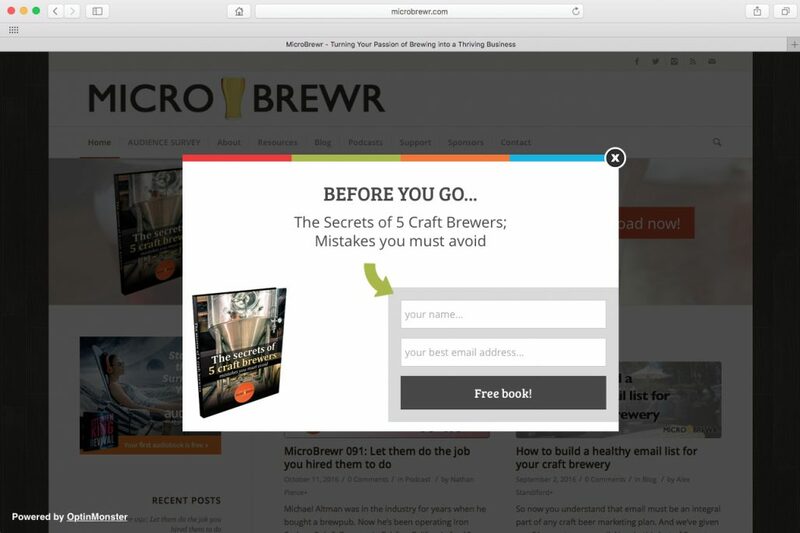 MicroBrewr is about how to start a brewery. A bottling line or a canning line is a substantial financial investment. So this question is a significant consideration to anyone starting a brewery. It brings varied and interesting answers. 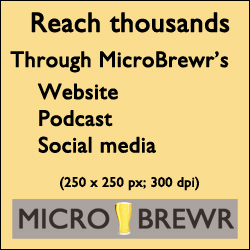 At episode 14 of MicroBrewr Podcast, I started asking each guest the simple question, “Cans or bottles?” We’re now at episode 58, so we have a decent sampling of industry insiders. The answers below were culled from MicroBrewr podcast episodes 14 through 58. With 44 respondents (one of the episodes was myself), the overall results were as follows. Cans are preferred by 43 percent of the respondents, while bottles are preferred by 27 percent. That’s a 16 percent margin. Furthermore, 27 percent of people could go either way. If you take the respondents who said they don’t prefer one over the other, and add them to the ones who prefer bottles outright, that’s 54 percent, beating out can fans by 11 percent. Yet, if you threw a party with only canned beer, you’d satisfy 70 percent of your guests (43% + 27%). Whereas if you provided only bottled beer, just 54 percent of your guests would be happy (27% + 27%). One respondent threw a curve ball. Philipsburg Brewing Company says that they are planning to package their beer in aluminum bottles. I’ll continue to tabulate the answers. So check here for the latest results. In meantime, I was eager to dig in deeper. So I looked at the answers more closely. The first thing I noticed was that the answers seemed largely based on opinion. Simply put, people are biased and they have strong opinions about this topic. From most of the guests, I could hear a change in the tone of their voice when they answer this question. It seems like their opinion is swayed by personal perception. Oftentimes I perceived even a raised voice or an excited tone. “Oh cans, all the way,” says Zachary Typinski from Neighborhood Brewing Co.
“Cans!” exclaims Nigel Askew from Horsefly Brewing Company. “Absolutely! There’s no competition. “Cans, no doubt,” says Paul Benner from Platform Beer Co. I do admit, this question is the first in a series of what I call “happy hour” on the show. The happy hour questions are meant to be light, friendly and informal. This could explain the change in the tone of their voice. Some of the guests realized that their answer was based simply on opinion. “I actually used to collect beer cans so I had kind of a nice soft spot for cans,” admits Shaun O’Sullivan from 21st Amendment Brewery. Modern cans for packaging beer are different from the their predecessors. New technologies have improved the packaging. Some guests seem to like cans because it’s a new thing. Several people found the question difficult to answer. For some, it is a downright struggle to pick one packaging over the other. Mike Elliott was on the same call and he also had a difficult time answering. For some, the dilemma is even troublesome. Tiffany Adamowski from 99 Bottles beer store was politically correct in her answer. Many guests cited the environmental benefits of cans over bottles. Nigel Askew pointed out that aluminum cans weigh much less than glass bottles. Lighter weight, means lower transportation costs and the associated emissions. Besides weight, the size of a can allows for more to be shipped in the same space, which additionally saves on transportation costs. Doing the right thing for the environment often translates to benefits for the bottom line. Many people spoke about shelf life of their product. And Myles’ affinity for cans goes beyond the research to practical reasons. But there’s conflicting data. 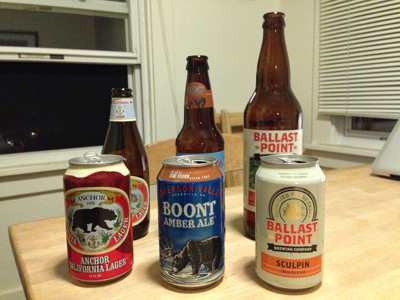 A few guests on the podcast have given statistics about how either cans or bottles are superior packaging. Then there’s the argument for bottles, too. He doesn’t stop at dissolved oxygen. Besides lab data from the brewery itself, I can’t help but wonder where the statistics are coming from. Obviously, the canning industry has an interest in making their packaging sound like it’s going to protect the beer more, but the bottle manufacturers have an interest in selling their product as well. I’m interested to see any studies from an unbiased third party that covers a large sampling on a broad range of equipment. Many guests believe that cans allow their product to go more places. Taking beer into the outdoors might not be such an important issue everywhere. “In the last few years, there’s been an upsurge in outdoor activities. If you were bringing beer, people might think you’re a bit different, let’s say,” he advises. People who prefer cans are usually very enthusiastic about it. Yet there are holdouts for the bottle. Oftentimes, people who prefer bottles are so confident in their answer and their preference that they don’t feel a need to elaborate. “Bottles,” succinctly answers Matt Greff from Arbor Brewing Company. “Myself, a bottle,” says Patty Elliot from Pecan Street Brewing (no relation to Mike Elliott). “Bottle,” stated Eilise Lane from Scarlet Lane Brewing Company. Then she explained more. “There’s something about a bottle that just feels right for me. I know cans are great, I drink craft from can and it’s good beer. It’s a way to do it. But for me personally, I am looking forward to bottling. I just feel like it matches what we’re doing. “When you are a bottle fan you are just a bottle fan,” she concludes. Customers as well as producers perceive the stigma that cans bear. And the stigma does seem to be waning. “When we first started, it was interesting because we talked more about the can itself than the beer inside,” recalls Shaun O’Sullivan who co-founded his brewpub in 2000 and started packaging their beer for distribution—in cans only—in 2006. Whether packaging your craft beer product or just buying a brew, opinions and perception vary widely. In the craft beer industry, producers are consumers. Among this set of producers and industry insiders, more people prefer canned beer. As canning technology improves and as the stigma of “cheap tin beer” fades, we’re seeing even more beer in cans. But does the packaging affect the beer? That’s an important question that also draws varying opinions. Stay tuned for the next post, where I talk about 2 blind taste tests that I did with friends to find the answer to the question: Cans or bottles? If you want to succeed, you have to read. Two books stood out from my reading list this year. These 2 books helped me formulate my vision for the brewery that I want to make. I hope they’ll help you on your journey to starting a brewery. These books definitely helped me articulate my vision. And if you can read it, you can believe it. It has been the basis for several posts on my personal blog. Entrepreneurs are readers. I recently spoke with Danny Robinson, owner of Backshore Brewing Co. in Ocean City, Maryland. “I don’t know of any successful business people that are not voracious readers,” says Danny. My parents are their own bosses. Each year they send themselves to Breakthrough Conference for goal setting, morale building, and such. I guess it’s pretty exciting because they always come back talking about it. My dad comes back talking about breaking boards. My mom brings back books from the speakers. A few years ago they saw Simon Sinek speak and my mom emailed me a PDF of the advance copy of this book. It wasn’t until this year that I got around to reading it. And it came at the perfect time. Although this book was published in 2009, I finally read it in April 2014. I was just coming off a bump in the road to developing my business plan. I was assessing my goals, my visions, and my purpose. The book is all about getting to the inner reason of why a customer will buy a product. He talks about different manipulations that companies use to makes sales: price, promotions, fear, aspirations, peer pressure, novelty. So he provides an alternative. He explains how exceptional leaders motivate people by inspiring rather than manipulating. Most companies do it backward. They explain what they’re selling, the features, components, etc. They explain how it’s made. And finally, if they get around to it, they tell us why they did it. But it should be the other way around. It all starts with why. Simon gives examples, and one of my favorites is Apple’s marketing for their iPod. Big deal if it’s a 5GB mp3 player, why do I need that. To put 1,000 songs in my pocket, that’s why! 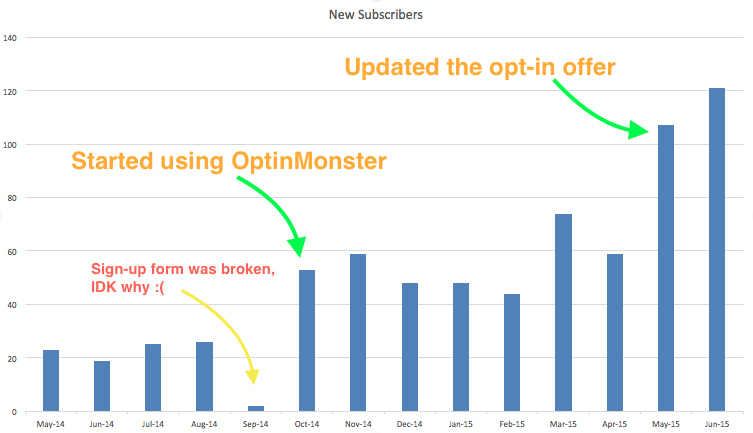 This system isn’t just for articulating your message to customers. Great leaders inspire their team, and their whole company, by always emphasizing why. If you want to be a great leader. I highly recommend that you read, Start with Why by Simon Sinek. This year, my parents brought back from the conference, another great book, Above the Line by Steve Satterwhite. It was published in 2013, I read it in September 2014. This book is mostly Steve’s memoir of how he built his IT company from scratch to the best—and one of the most profitable. 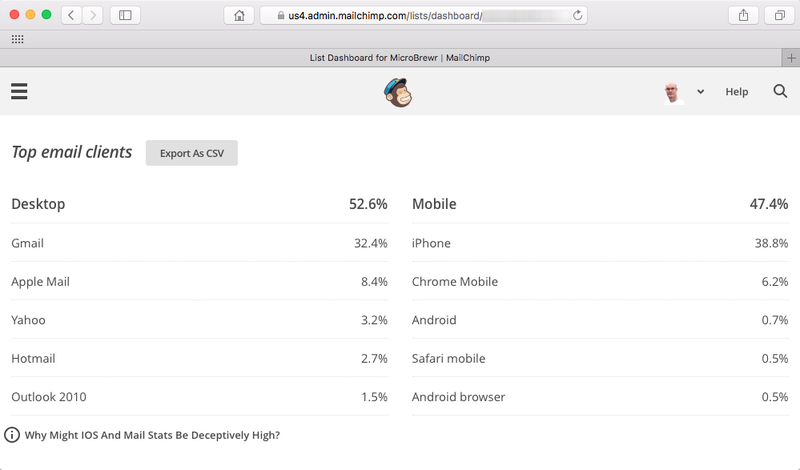 Steve goes deep into the workings and the analysis of the IT processes for really large accounts. It was interesting to learn that all the major computer companies don’t handle their own support calls. You might think the IT person works for the company you called, but they’re actually contracted out. It was also interesting to learn how Steve makes sure to hire the right people every time. This book is a great example of a big company doing the right thing. Echoing a lesson from Simon’s book, Steve talks about aligning your company with employees, with clients, and with customers who share your values. Steve’s organization is committed to treating their employees well. They treat their employees well so their employees can treat their communities well. Steve is so committed to this idea that he even gave his employees to a competitor. He wrote of a time when a client bought a competing IT provider. Steve’s organization lost a lot of business and had to let employees go. Rather than leave the employees to fend for themselves, Steve’s organization called the competitor and recommended these employees for hire. The 2 companies had worked on many of the same jobs. They knew how to do each other’s work. Although Steve’s company had invested in their employees training, skills, and knowledge, they were committed to treating their people well. When they could no longer afford to keep them employed, they found other employment for them. I highly recommend this book as well. These 2 books prove that you can strive to make a profitable company and still do what is right. Craft breweries are known for being the types of businesses that conserve resources, pay employees a livable wage, and give back to the community. You don’t have to sacrifice profits in exchange for that. When I talked with Danny Robinson he was really enthusiastic about reading for business people. “Read everything you can get your hands on!” he advises. If you want to see what books Danny and others are recommending for starting a brewery, check out the list of books recommended by guests of MicroBrewr Podcast. What were the best books you read this year? What are you striving for in 2015? Let the rest of us know in the comments below. Image showing Reading by Sebastien Wiertz on flickr (CC BY 2.0) was modified from its orignal state.